Social Media Marketing (SMM) and Search Engine Optimisation(SEO) have been the buzz words on every online marketer’s lips for a long time now. And for good reason. But does social media impact SEO, increasing website visitors from search engines? When you think about standard SEO practices such as structuring content around keywords or building quality backlinks, these are all practices that focus on increasing traffic to a website. Well, a good social media strategy is going to do exactly the same thing. Referrals from social media pages can be extremely valuable as they push people towards the content that is published on your site. Whether somebody is finding out about your content from a retweet, a Facebook share, or a Google search, the purpose is the same throughout – to get people to visit your website. So social media can drive quality traffic to your website, but does it affect Google search rankings? Whether those social media signals actually place any part in Google’s algorithms can seem confusing, not in the least because Google has had different messages on the subject over the years. In the past, Matt Cutts has stated emphatically that social signals are an algorithmic rank factor and also that they are not. So what is actually the case? In December 2010 Matt Cutts released a video saying Google does use social signals as a ranking factor. But in January 2014 Matt posted the video below now saying Google does not use social signals to determine rankings. This came as a shock for many marketers who saw websites with huge followings ranking well and just assumed the two were directly related. So the number of likes and followers you have is not a Google ranking factor, despite this SEO Myth still doing the rounds today. BUT, of course, this does not mean that social media is not important and that it can’t have a positive effect on organic traffic. Just because some social signals don’t factor into Google’s algorithm does not mean that you should be neglecting your social media accounts – far from it. 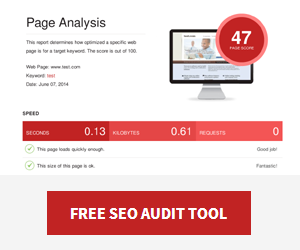 These sites still drive quality traffic to your website. If you work on building your followers and mastering the content you publish, the promotion you can receive from social media is staggering. This doesn’t mean that you should be forgetting about Google either, but it’s a good idea to keep a healthy amount of SEO and social activity happening to really optimise your traffic. In fact, you can think of the likes of Twitter and Facebook as social media search engines. People on social media are searching for answers to questions, they are looking for entertainment, and they follow links. If you have a significant influence on social media, you can ensure that your links land in front of the people who will find true value in your content. By building up a strong following, you are also more likely to earn links using social media. If people value your content, they might write about it and link to the source. Let’s look back at Matt’s statement, particularly “if something occurs on Twitter or occurs on Facebook and we’re able to crawl it, we can return that in our search results.”. So social pages Google can access are treated just like other webpages. This means that they get crawled and indexed, and this means that what you write on those pages does impact SEO. If somebody searches for your brand, hopefully they will be led to your website, but your Youtube channel, Twitter page, and Facebook page are also likely to appear in search results. And if social pages are treated just like other web pages, then you need to optimise them using those SEO practices you use when optimising a website. In other words, to improve the authority and ranking value of your social channels, you need to use the right keywords in social content, create backlinks that point to your social profiles, and ensure that your social profiles are complete. Anybody who really wants to boost their SEO power with a social network needs to be signed up to Google+ including personal and My Business accounts. It should come as no surprise that a social media platform owned by Google will have some impact on Google search results. It really pays to build a following of real people on Google+, search results are personalised based on who Google plussers connect with. This means that if you are logged into your account and you search for something in Google, you are far more likely to see results from people who you follow, including their Google+ posts! So when people follow you on Google+, they are going to have your contented presented in search results more often. Does Social media impact SEO? Clearly the answer is yes, but it is one of many factors that would need to be addressed as part of an overall SEO Strategy. Social media can earn valuable backlinks to your website. 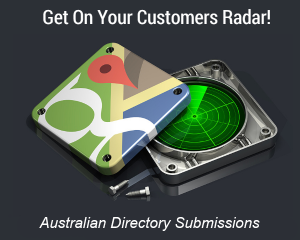 Some social media profiles and pages are indexed and should be optimised. Google doesn’t care how many followers you have. 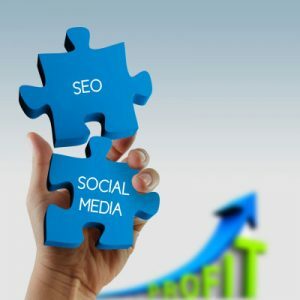 SEO and social media marketing are different things but they have significant overlaps and their value, and when used together can amplify the results.